How has your week been so far? Mine has been okay. Just preparing myself and the little one for school next month. Is that weird? Lol. Any who, today I will be sharing my first ever A-England polishes with you. Avalon and Crown Of Thistles. Let's get to it! 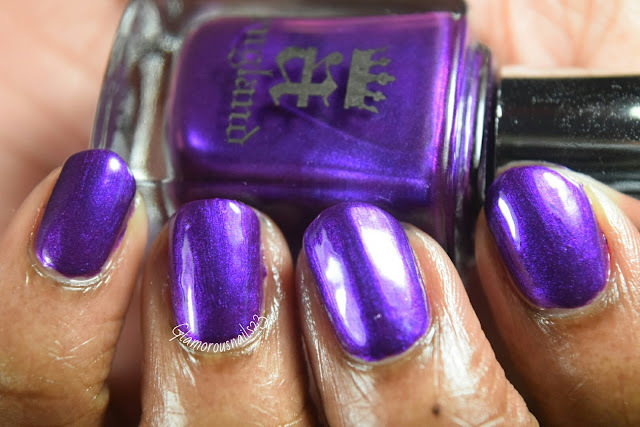 Avalon is a beautiful regal purple polish with blue and pink shimmer that is from The Mythicals Collection. The formula was smooth and I the application was a breeze. Avalon has good coverage and dries fast. This polish also was almost a one coater! As always depending on how you polish you could easily get away with one. I just adore this color. Shown is two thin coats with a top coat. 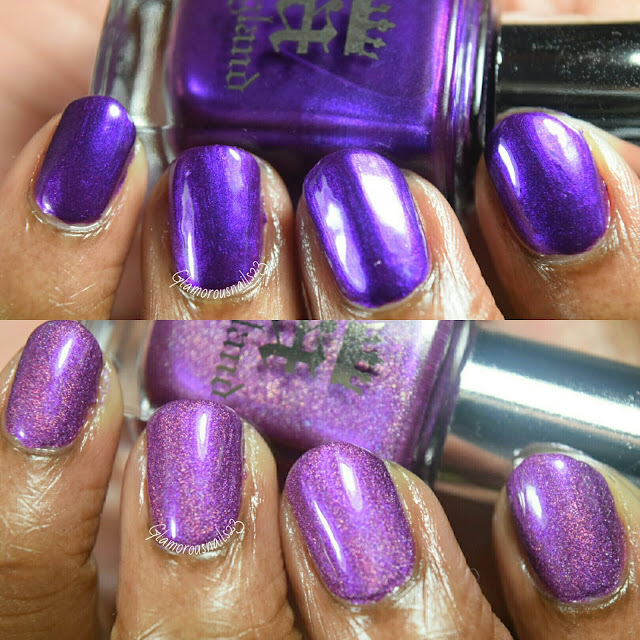 Crown Of Thistles is a beautiful orchid purple subtle scattered holo polish from the Elizabeth & Mary Collection. Crown Of Thistles just like Avalon had an amazing formula, coverage and applied with such easy and grace. I literally felt like I was just gliding it on. This polish does have a gold and rose flash when the light hits it which makes it more beautiful than it already is! And guess what! This beauty is a one coater! Yup I said it! Shown is one thin coat with a top coat. 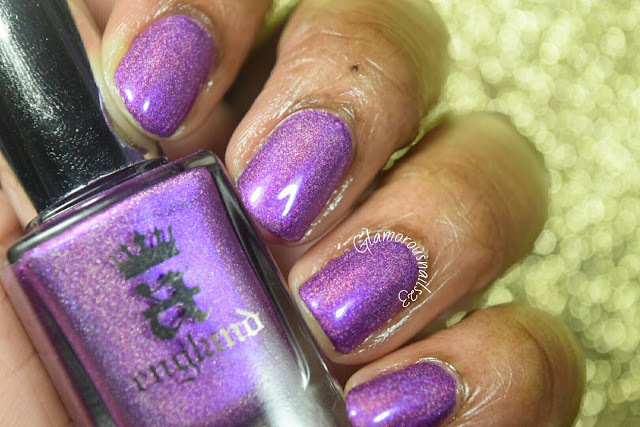 A-England polishes can be purchased online at A-England, Harlow & Co, Nail Polish Canada and you can find more stock lists by clicking here. I am absolutely pleased with these polishes by A-England and definitely will be adding more to my collection in the future. 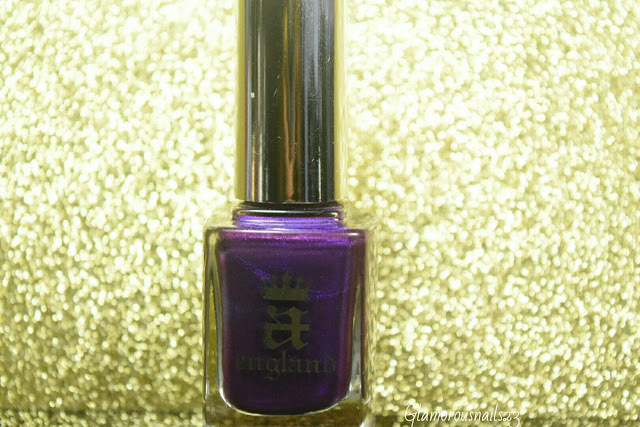 Do you own any A-England polishes? Any that I need to add to my collection right away? What did you think about these polishes? Let's chat A-England down below! A-England does such beautiful polishes. Love! It is true! I'm glad I found them! Both gorgeous shades of purple. Love Crown Of Thistles very much. Crown of thistles is one of my all time favorites from AEngland. She makes the best holos. I think I may need to get another one of these as a back up just in case! A England definitely has some stunners!! This is true! I need to add some more to my collection! 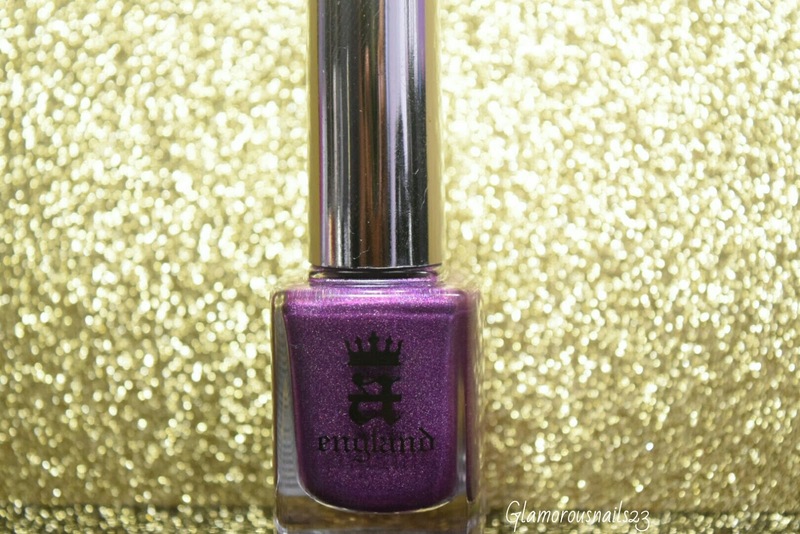 It's been way too long sjnce I've bought aengland! That holo is everything! I love Crown of Thistles! I don't have any A England polishes, but I've always heard great things! Crown Of Thistles is so pretty! I'm going to have to add a few more to my collection. I'm going to be adding a few more of these to my collection. You're welcome! I ADORE a england so so much. I want all of their polishes!!! These two beauties are just gorgeous :) Thanks for sharing Sasha!! I am so glad that I tried these ones! I will be adding more to my collection without a doubt. You're welcome Paola! Beautiful swatches! Avalon is just perfection on you! I love Crown of Thistles! It's one of those polishes that I keep wanting to buy but never get around to it. You need to get your hands on it ASAP! It's lovely! I love A-England. I need to buy more!